Air Conditioning Maintenance l Kalos Services, Inc. 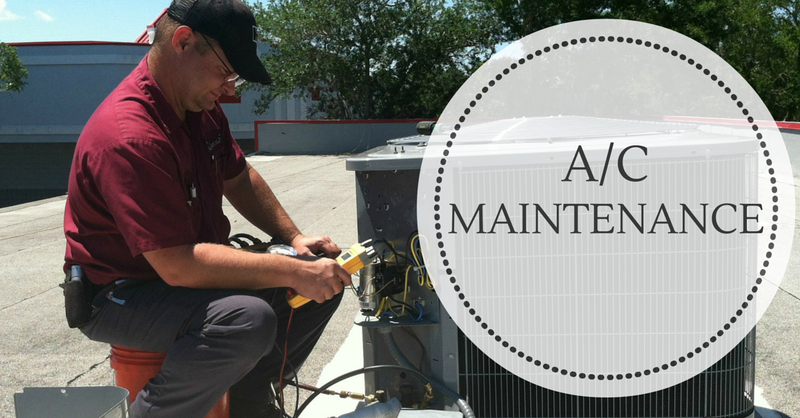 The A/C systems in our Florida homes and businesses are some of the hardest working systems in the country, but most of them are under-maintained items. We rely on them every day, but it’s easy to forget about your personal comfort until you become uncomfortable, then the importance of air conditioning maintenance becomes apparent. At Kalos Services we understand the importance of proper air conditioning maintenance and we take it very seriously. It’s one thing to come up with a list of points that illustrate what is supposedly done on a preventative maintenance. It’s quite another to actually provide value by improving the system to the point that makes a real difference in the way it operates. We train our technicians to look for ways to improve your A/C system in these 5 areas so you can be more comfortable. We will fully inspect the A/C system for any developing issues and address them before they cause costly and inconvenient breakdowns. This will also result in less damage caused by drain blockage and system freeze ups. We will clean the system to bring it up to its prime efficiency while looking for areas in which the system is drawing excessive current. We will also check and ensure that the Refrigerant (Freon / Puron) charge is set to factory specifications for the greatest possible efficiency. Keeping the system well maintained will also result in better cooling and heating output as well as better humidity control and air flow. This will result in better overall comfort. We will not only clean the system but we will also treat the areas of the air handler that come in contact with the air stream with a high grade anti-microbial agent. This will reduce the growth of bacteria and fungus. We will be happy to answer any questions about your air conditioning maintenance and point out small areas in which you can help improve the longevity and efficiency of your system. We will also update you on any areas of concern as it relates to the condition of your comfort system. Improve energy efficiency by cleaning the condenser coil. Clean the full condensate system. Treat and clean drain pan with an antimicrobial. Leave a slow dissolve treatment in the drain pan. Prevent electrical shorts by examining high and low voltage wiring. Tighten high and low voltage connections and termination points. Improve indoor air quality by cleaning dirt and sediment from the condensing segment base. Treat all accessible surfaces with antimicrobial treatment. Inspect, clean, or replace air filter (single 1″ pleated merv 8 filter). Inspect the condition and balance of the indoor blower motor and wheel. Examine and test all controls on the indoor and outdoor units. Clean and level the thermostat. Test and record capacitor readings and amp draw on the indoor unit. Test and record capacitor readings and amp draw on the outdoor unit. Clean heat exchangers of any carbon buildup and sediment where applicable and clean flame sensor. Test and record refrigerant pressure. Ensure proper refrigerant quantity and system operation by testing and recording CTOA, Evap TD, Compression Ratio, Superheat, Subcooling and Discharge temp as appropriate. Testing and recording the inlet and outlet air temperatures at the indoor unit. Cycle the complete system to confirm proper operation in heating and cooling. Replace any missing screws on the indoor and outdoor units.